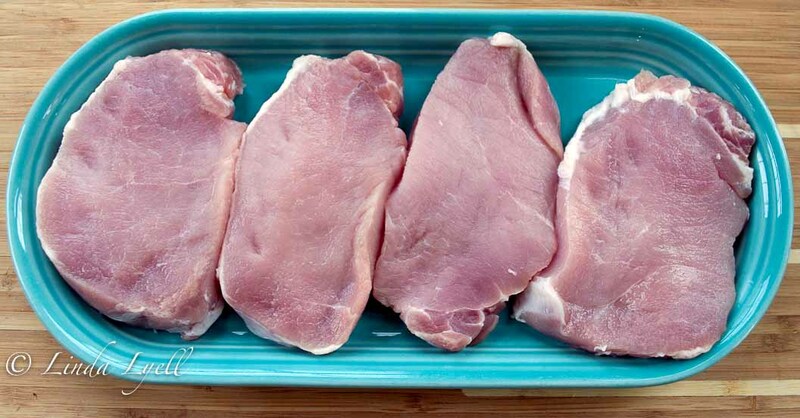 Our freezer is busting with boneless pork loin chops because of a special at our local grocery store. I’ve been playing with pork recipes all month. This is my favorite! 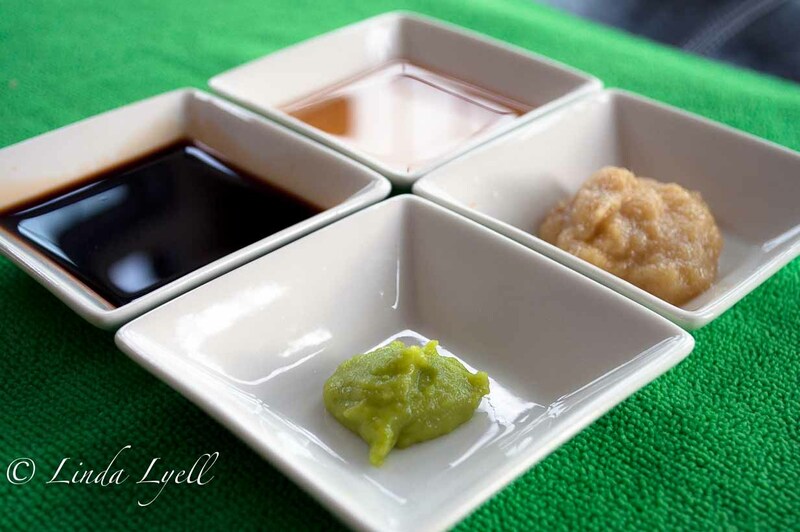 Wasabi and sake with your chops! I got the recipe from Cooking Light but it need a bit of adjusting so pay attention…. Dredge the chop in flour and coat both sides, then plop it in the egg whites. 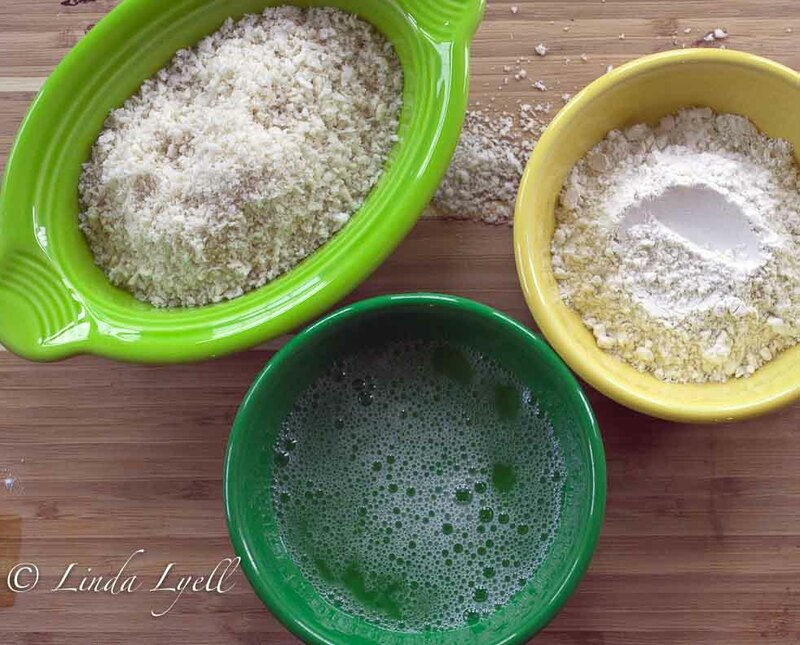 I use a tong or a fork to move them from bowl to bowl, otherwise you’ll have breaded fingers! Egg on both sides and take it right to the bread crumbs. Handle gently so the crumbs don’t fall off the chops. Saute the chops in a large skillet using 1 tsp. peanut oil and 2 tsp. canola oil. The peanut oil adds a wonderful depth of flavor! Here’s where the original recipe and I have parted ways. 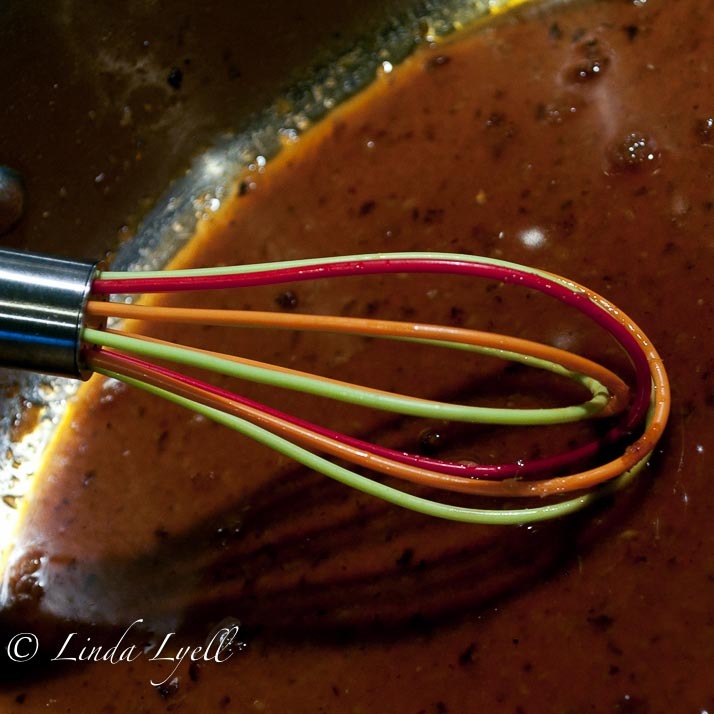 The original recipe calls for the peanut oil and spray oil – don’t do it! Your chops will burn and stick. It also says that the chops will be done by sauteing them for four minutes on each side. 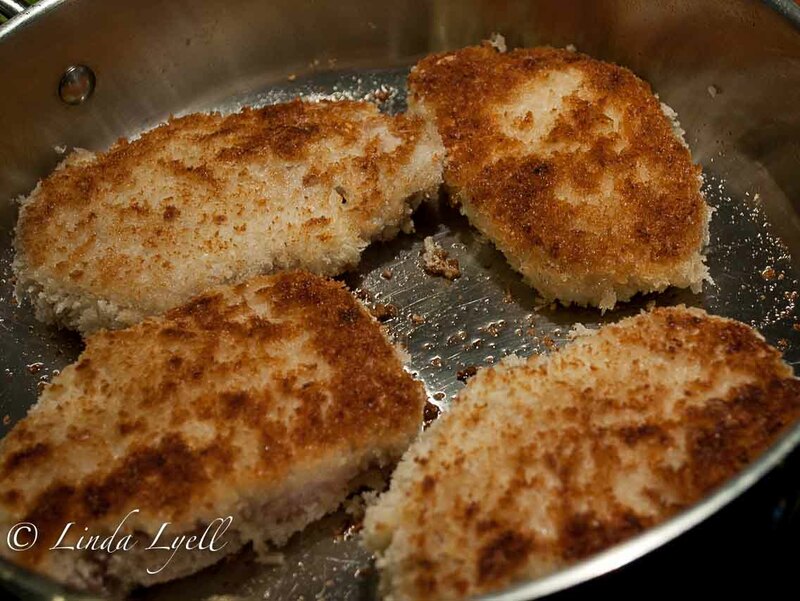 Panko bread crumbs tend to burn easily and if you’re using 1/2 inch chops, you’re going to need to bake them after they brown. I baked them for about 12 minutes in a 350 oven. Pour the sauce into the hot skillet where you just remove the chops and whisk to collect the browned goodies the chops left behind. 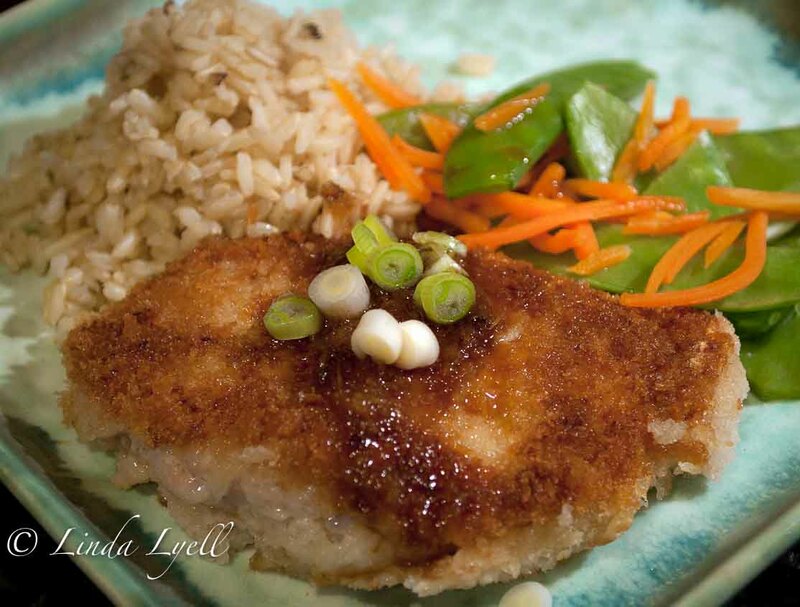 After the chops are baked, spoon a little sauce over the chops and top with chopped green onions. I served them with brown rice and steamed snow peas and carrots. Recipes below…but before I go, I wanted to share what my doggies are smiling about today. 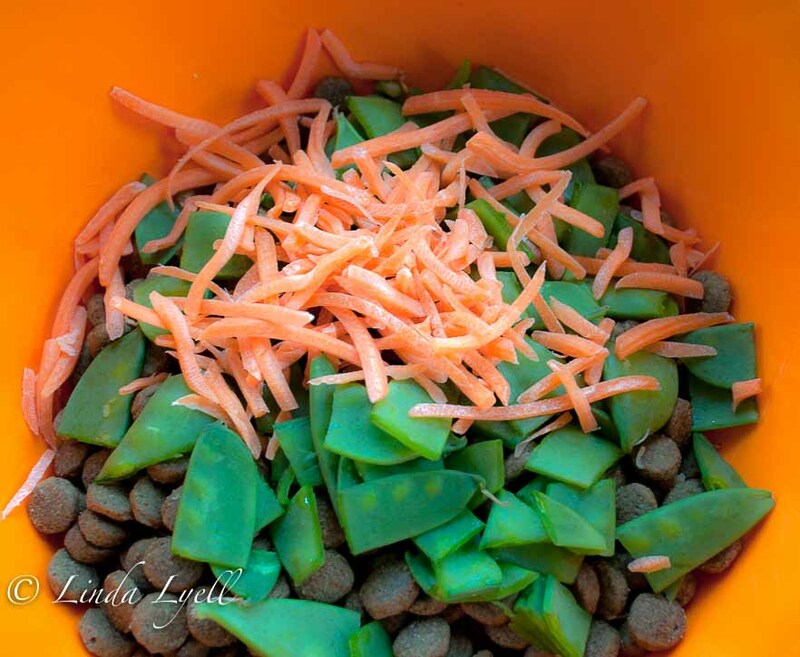 That’s right, I add all the pieces of the veggies that I pinch off or would otherwise toss and mix them into their dry food. They loved it! Place panko in a shallow dish. Place egg white in another shallow dish. Place flour in another shallow dish. 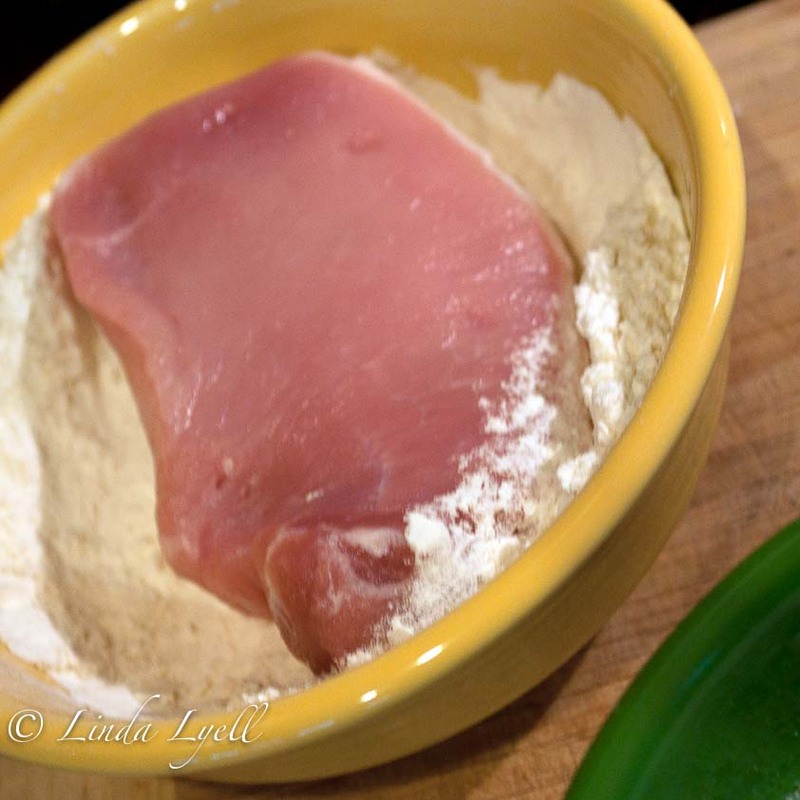 Dredge pork in flour and then dip pork in egg white; dredge in panko.Heat peanut oil in a large nonstick skillet coated with canola oil over medium-high heat; add pork. Cook for 4 minutes on each side or until browned. Remove pork from pan; sprinkle with salt. 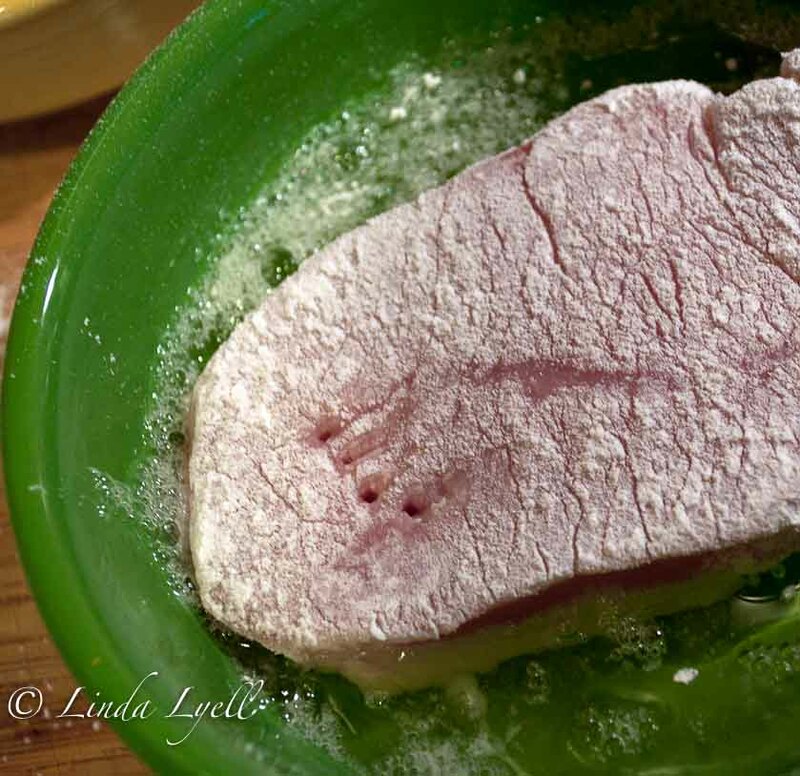 Place pork in a shallow baking dish that has been sprayed with cooking spray. Bake in a 350 degree oven for 10 – 12 minutes until done. Reduce heat to medium. Add ginger to pan; cook 30 seconds, stirring constantly. 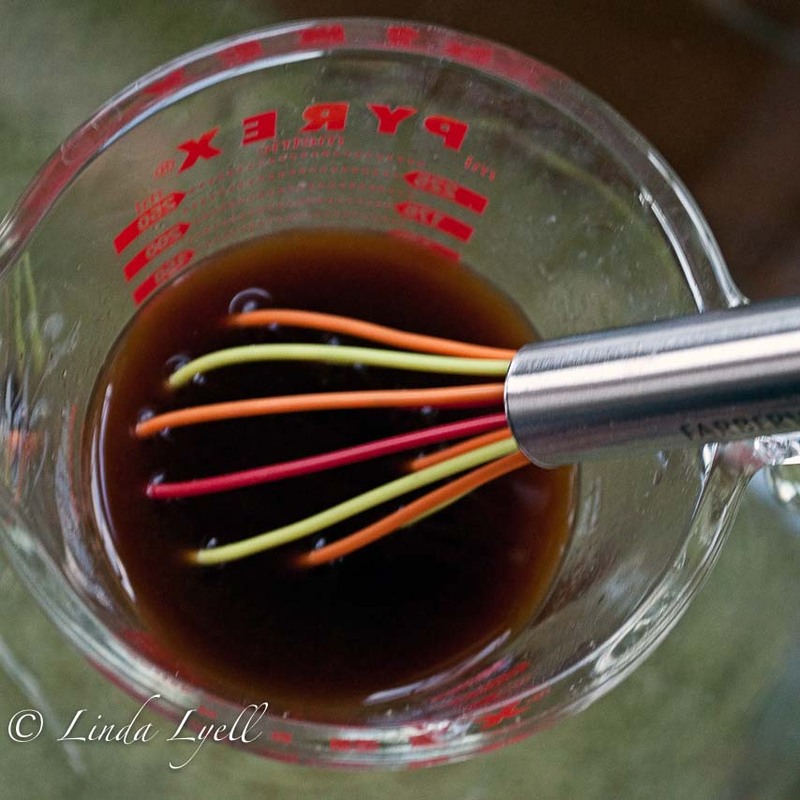 Combine broth and the next 4 ingredients (through wasabi) in a small bowl, stirring well with a whisk. Add broth mixture to pan, scraping pan to loosen browned bits. Spoon sauce over pork. Top with green onions. That looks fabulous. My wife will say we can use the sherry, but I think I’ll just have to put sake on the grocery list. My recipe box is growing and growing with your wonderful recipes. It’s 7:30 AM and my mouth is watering thinking about these chops! Always beautiful! This recipe looks awesome- can’t wait to try it.